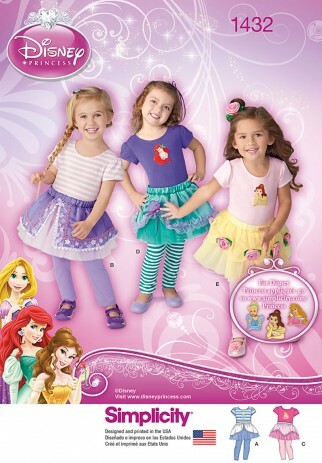 Playwear top, leggings and tutus inspired by your favourite Disney Princess lets your toddler be a princess anytime. Princesses include Aurora, Rapunzel, Ariel, Belle, Tiana and Cinderella. Disney Princess Pattern Collection.